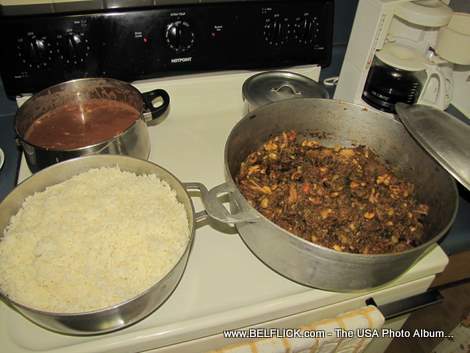 Take a look this delicious white rice (diri), beans sauce (sòs pwa) and legume (legim) cooked at Grandma's Kitchen. I can't help myself when I at my mother's home. I just gotta have that extra bowl. You know what I mean.